The suit claims professor Lance Duerfahrd groped a student as early as 2011 and sexually assaulted another student at his home and his office in 2016. WEST LAFAYETTE, Ind. -- A lawsuit filed against a former Purdue University English professor claims he sexually assaulted students on a number of occasions. Court documents sent to RTV6 Thursday evening by Massillamany Jeter & Carson LLP detail the allegations against Duerfahrd by a "Jane Doe." 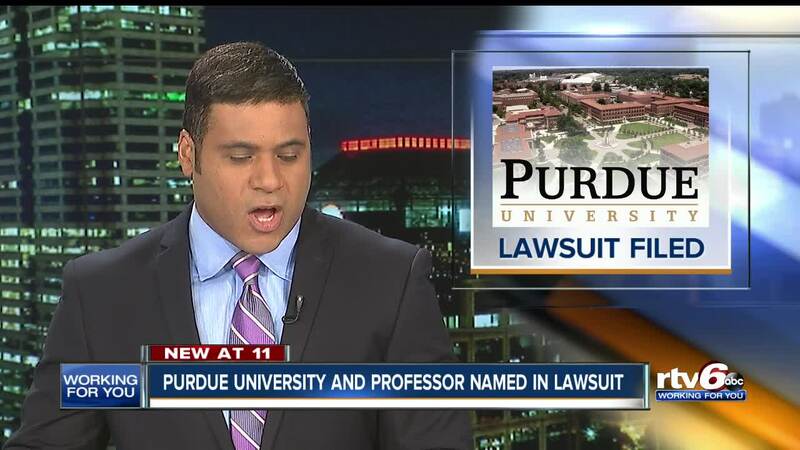 The plaintiff in that lawsuit is also suing Purdue University, claiming they failed to protect students or take action against the professor when administrators learned of the allegations against him. Purdue released a statement Friday morning, saying the university acted "swiftly and decisively." Purdue has not yet received the complaint announced by the California law firm’s press release, but we are well familiar with the underlying matter. Upon receiving notice of the allegations, the university acted swiftly and decisively. In fact, it would be difficult to find a more clear example of Purdue’s intolerance of this type of misconduct. Immediately upon learning of the complaint against Mr. Duerfahrd, Purdue placed him on leave, ordered him to have no contact with students, and launched an investigation. Upon conclusion of the investigation, which substantiated the claim, Mr. Duerfahrd resigned under threat of termination. The entire matter was resolved in a matter of months. Purdue takes very seriously its responsibility to provide a safe education environment for it students. The university does not and will not tolerate such misconduct by any member of its community, including faculty, regardless of their rank or tenure. This case proves it.